Sushree Diwakari Devi is a sanyasi preacher who studied under the guidance of Jagadguru Kripaluji Maharaj. 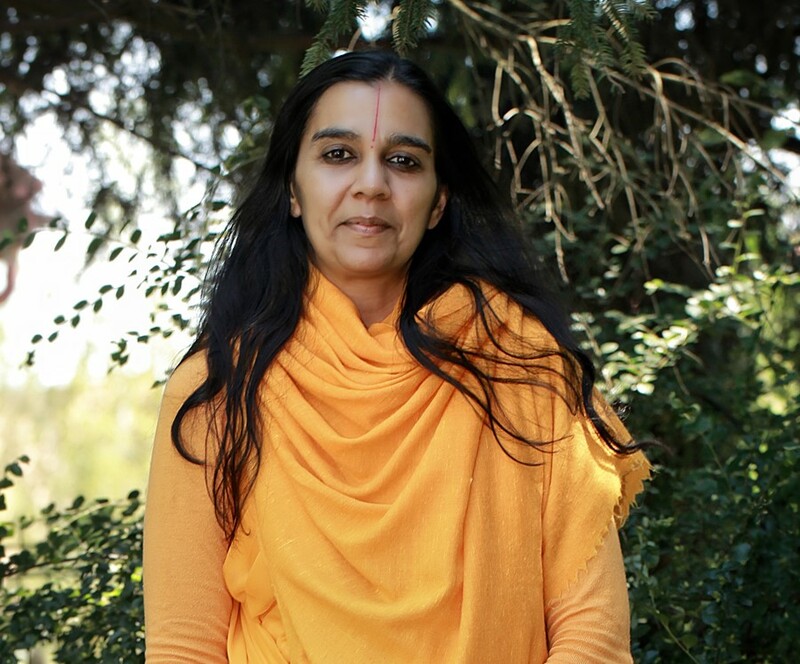 She preaches full time in US while also doing a variety of administrative work at the Ashram. After extensive study of the deepest aspects of the philosophy of Divine Love, Sanskrit scriptures, and devotional music of India, she received Vaishnav sanyas in the raganuga tradition of Vrindaban, India under the guidance of Jagadguru Shree Kripaluji Maharaj. Since then, she has lectured extensively throughout the U.S. and Canada. Her speech touches the heart and her chanting of the Divine name enters deep in the hearts of the listeners, inspiring them with devotional love for Radha Krishna. Every week, Diwakari Devi, publishes English translations of her beloved Guru Shree Kripaluji Maharaj’s lectures on numerous topics of Hindu Philosophy and Krishna Leelas, as her service to English speaking devotees living in the Western World. Her translations are an incredible resource of knowledge on the philosophy of Sanatan Dharma. To join this e-list of her Translations that go out every Thursday, please send a request to info@radhamadhavdham.org. To contact Diwakari Devi, please call Radha Madhav Dham at 512-288-7180. You can also visit her Facebook page for questions.